What happens when human beings come to believe we do not matter? That we are needed for others but there is little to no need or use for what is within us? What happens when we live our lives believing that who and what we are is not worthy of love? That there is something fundamentally wrong with us? What happens to our connection to the whole? And what happens to the whole when this happens? Our sense of disconnection as human beings doesn’t just affect our own psyches. It weakens the fabric of life, the web of human existence, and the web of existence itself. This is much of what we are experiencing now on Earth. A weakened fabric of human existence and a weakened connection to the Earth and all that is sacred. We can’t necessarily see it in the physical realm, although we experience the disconnection from each other (and even from ourselves). But I see and feel it internally, on the inner planes. I see and feel it and now know this because this was my experience — and I know I am not alone by a long shot. I sense the majority of human beings feel this way in varying degrees. I don’t know many who’ve been raised to truly know they matter not in spite of who they are but exactly as they are. That there is a place for them because they are who they are, exactly as they are. Growing up in a family with a lot of dysfunction, I came to believe I did not matter. This sounds dramatic, but I don’t mean it as drama. I am not saying my parents or the other adults in my life ever said that. They didn’t. Rather, it was the belief I came to hold about myself because of what I experienced. We were a deeply disconnected family: emotionally, physically, and psychically. And that disconnection took hold in my soul. The soul longs for connection. Young children need to be connected. We, humans, hunger for connection. And when it’s not there as young children, we believe it has something to do with us. Children are self-referential. We make it about us because we desperately need to believe in the strength and wholeness of our parents and caregivers. This belief ran deep. The wound was painful and it wasn’t until very recently that I saw it for what it was and is. What I now see is how disconnected I became from my instincts and from life. 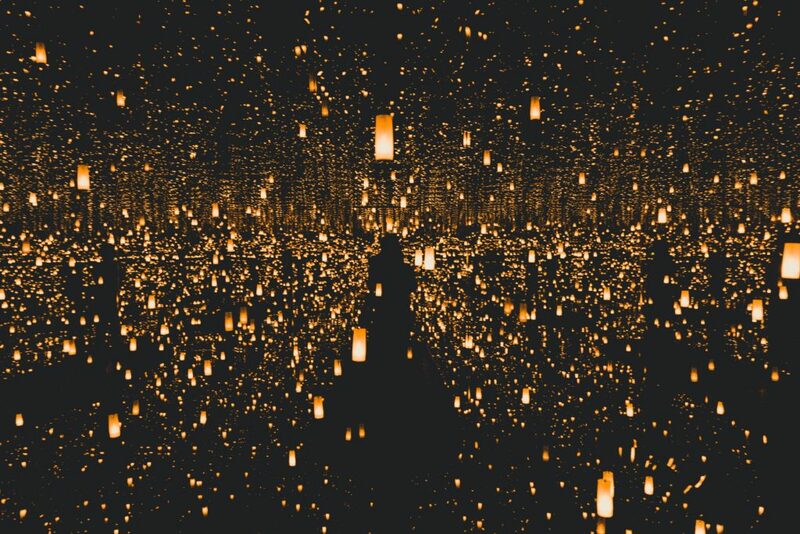 Our instincts come out of our connection to the instinctive nature of life and I became disconnected from my body and from the Earth. As a very young girl, I see how my belief caused me to energetically and psychically disconnect from the fabric of life. I turned away from my own worthiness. I turned away from the Source of Life that gives me life. We don’t (necessarily) die when we do that, but we leave our existence by ‘going way’. By disassociating. By isolating. By numbing out with substance(s) or things we do repeatedly to get away from the pain of this sense of not mattering, of not being worthy of love. And when I healed this wound of disconnection I saw how my connection to the web of life grew stronger. Everything is interconnected in this web of life, but it is more than simply interconnected. Everything on the web is the whole and at the same time is simply itself. This is what a hologram is — each part contains the whole. If we come to believe we don’t matter (or we aren’t lovable or we aren’t enough or we aren’t ‘however you have this one wired’), and/ or we treat others as if they do not matter, then we aren’t being sustained and we aren’t sustaining each other. This is part of our job here on Earth — to sustain each other, to keep the web healthy and whole, to grow a vibrant community — and to be powerful, loving stewards to all of life. We were created to be what we are. If we come to live a belief that what we are and how we were created does not matter to creation itself, then we are weakening the strength of our link to the whole and the whole suffers for it. But when we are in the pain of the wound, we cannot see this. While everything is connected, something profoundly damaging happens when we come to believe we are not…and that we aren’t worthy of this connection. This connection is sacred and when it is weakened we weaken our remembrance of the sacred in everyday life. I can see it, but I still find this hard to put into words, to be honest. But this matters greatly. Our human community must be strong and vital to evolve out of this mess we are in. We must be strong and vital to come to care for the whole of life as stewards on this planet. We cannot be strong and vital if we continue to live this western, patriarchal way of devaluing so many. We don’t have to live as numb human beings, but to make the change we do have to learn how to feel and that means being willing to feel. I am but one human being who has grown up in a kind of culture that devalues the incredible singularity, diversity, and creativity of each human being. My upbringing and family life were a reflection of this culture. My parents were/are good people, but they, too, were raised in a culture is deeply disconnected from this web of life. Every human being not only matters; their voice, creativity, and uniqueness are vital to the health of the whole, and to the strength of the fabric that holds us all together. And many who are not in positions of power or privilege have been silenced, traumatized, and denigrated terribly. As leaders, we must ensure inclusion and diversity, as well as provide the opportunity for everyone to rediscover what they truly are and that what they truly are matters to the whole of life. As leaders, our job is to midwife this essential creative nature and create a culture in which people are free to express it. We need everyone’s creative genius in order to move forward. We need everyone’s happiness from being connected to the whole. We need connection, period. We must come to know and live the truth that the expression of every human being, including that of our own, is sacred and vital to the well-being of the whole of human existence, and the whole of existence itself. 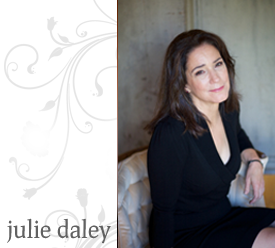 If you’re interested in finding out more about what I offer, including my one-on-one coaching and Writing Raw circles (current circle is still open for registration), please visit me at JulieDaley.com.